Tuesday, November 13th was World Kindness Day! Hurd-Barrington celebrated all week by participating in various kindness activities! Students were able to pick up some sort of activity based on their grade if they chose to participate. TK and Kindergarteners had a Kindness coloring page, first and second graders had Kindness Tic-Tac-Toe, and third, fourth and fifth graders had Kindness Bingo! Throughout the week, students were able to turn in their completed form in Mrs. Deliyiannis’ mailbox for a chance to win a prize! Their activity earned them an entry in the Kindness Raffle. Out of the many entries received, five lucky winners were announced during our Friday morning announcements. There was also a prize given to the class who had the most students participate. The fun wasn’t just for students though. 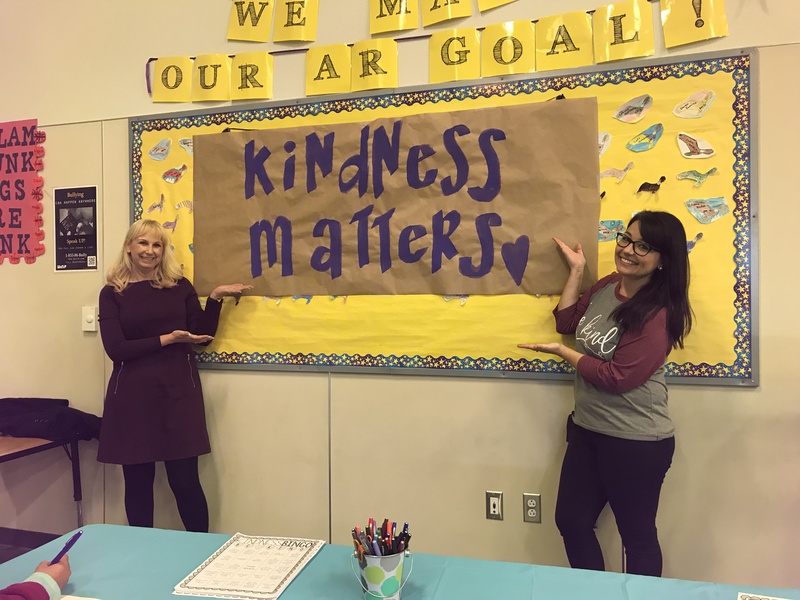 Staff was also able to participate in our Kindness celebration! 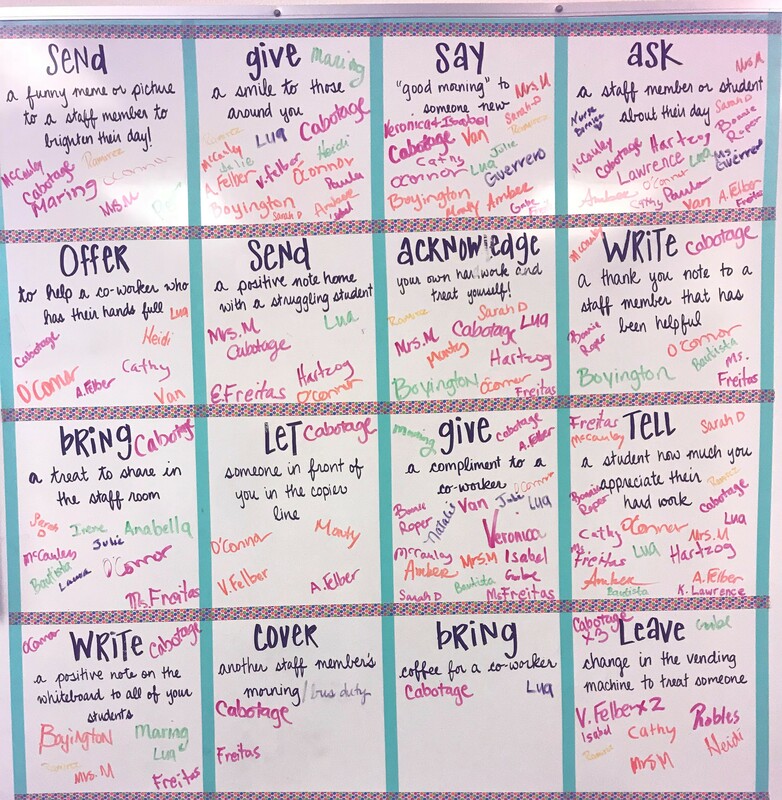 The staff room had a board full of kind acts that staff members could choose to do. If they completed the kind act, they were asked to write their name in the box. We had such an awesome turnout! Our students and staff here at Hurd-Barrington make this school the best! Their kindness and generosity is noticed and was the reason that our World Kindness Celebration was successful. Keep it up Eagles!